Unless you’ve been living under a stone this past week or so, you know National Novel Writing Month – also known as NaNoWriMo – started on the first on November. It’s a month were tens of thousands of writers across the world attempt to write fifty thousand words in a month. The concept is to get the words down on paper/or electronic device, and do it at the same time as others for motivation. What NaNoWriMo also is, is an opportunity for writers across the world to blog about it as I am doing here. But what some are blogging about are not that they are doing it and squealing with nervous anticipation for their blog readers to cheer them on, no what some writers are taking to their blogs (or Twitter) to talk about is the merits, or lack thereof, of NaNo (shortened). Can people really write a novel in a month? Do people really think they can write a novel in a month? These people are giving real writers like us a bad name, thinking that it’s so easy to write a novel when we slave so hard over our manuscripts. You can’t possibly put out decent words at that speed. Then the other camp post their blogs about team motivation, it being a first draft, it gets bums in seats, it’s encouraging, it actually gets words on a page. 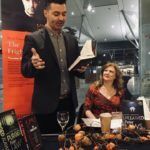 Words that can be worked with at a later date and made into something worthy of publishing, because yes, some very good novels have been published after starting life as a NaNo push. What irks me about all of this is why is any of it necessary at all? Writers write and they all do it in their own unique way as we have seen on the Friday feature First Drafts. I have been amazed at how one single item such as a first draft can be created in so many different ways. The haters need to give it a rest. These are fellow writers just trying something out and something that may work for them or actually may just be fun. Seriously. Writing like that might be fun for them. 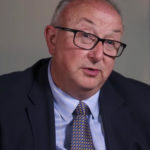 Why criticise the process and enthusiasm? Leave them to do their thing and you do yours. No way is the right way to create. Stop with your insecurities and ignore it. You’re hurting people who are just like you. Do you really want to do that? The defenders need to stop defending. Just get on with it. It’s as bad as responding to negative reviews. Do what feels good for you and enjoy it. So, to all my fellow writers doing NaNo this year (which I’m not…) I wish you the very best of luck in your endeavours. But – You don’t need my luck. 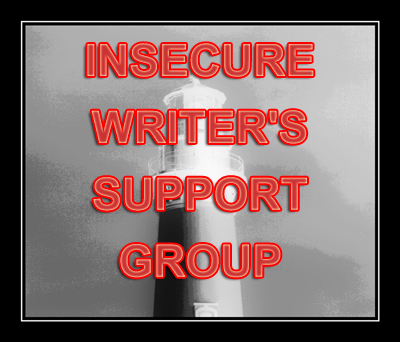 This post was brought to you as part of Alex Cavanaugh’s Insecure Writers Support Group because I wanted to offer support to all those doing NaNo this month. You can find a sign up list and list of participants Here. Great blog piece. I am using it as a discipline to finish, or get closer to finishing, my first draft. Yes I’m aiming for the word count but at the same time, not putting words on the page as a slave to the number. The best part for me is giving myself the time to do what I love doing. Thanks for sharing this, Rebecca. I’m glad you are doing what you love Ian and that’s what it’s aimed at isn’t it? I’m cheering you on as you work on your manuscript this month! Great post. 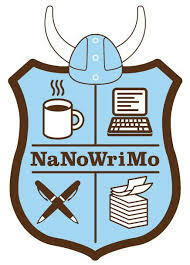 I decided to give NanoWriMo a try this year and was surprised how much of a backlash it generates (not towards me specifically but to Nano in general). I’m doing it because I wanted to try something different and write in a way that I haven’t in the past. So far it’s been great. I hit my targets everyday without much difficulty and I’ve been surprised at how liberating it’s been to just type without any self-censorship. I know already that 50,000 words probably won’t cut it for my first draft and I will probably keep writing into december. I also know that i won’t be sending the manuscript out to anyone in January but probably face about a year of editing first. But I’m happy to just get on with it and take the support where I can find it. The best defence against the neigh-sayers is to write a draft during November, edit well and get it out there – eventually! I’m glad you are hitting your targets with NaNo and also enjoying the process. As you say, it’s liberating for you to work this way and if it’s working, then that’s all that matters. have a great month! I cannot understand the backlash. I’ve taken part twice in NaNo – once I was successful, the other time fell short by about 10000 words. I haven’t taken part for the last 3 years, but mainly for logistical reasons. I think it’s a great opportunity to focus on your own mind, your own words and your own writing. It works for some, it doesn’t for others. And can we all please get on with our own things in peace? Thank you. Well said, Rebecca! Bravo! Without NaNoWriMo, my book, Maggie’s Child would never have been created, and that’s been a short-listed award book x 2, and 1# on Amazon, #25 top 100 best-seller paid … so, it can be used to create first draft novels. Those who whinge on about NaNo just don’t understand it, that is my theory. I have only been able to participate once but would say to anyone considering taking part, try it! I must say I would never write it in November and send it off in December but that is just me, others created good works and have confidence to submit. Thank you! Well said. I wrote two of my books during NaNo events, so yes, something of quality can be produced. We need to be supportive and positive towards one another. Rebecca – Well-said!!! I think the most important thing to remember is that each writer has a unique way of going about it. There isn’t one ‘correct’ way to get inspiration, write about that inspiration, and so on. For some people, NaNoWriMo is useful and supports creativity. For others, it’s not the answer. That should be enough. Thanks Margot, It’s a shame that it’s not enough. I think that some people just like to put down on other people or groups of people because it builds up their own confidence. An insecurity thing. A good reminder, Rebecca. NaNo has been on my mind a lot more this year than ever before–who knows why. I found myself delving into all the pros and cons, taking far too much time out of my cramped schedule. Time to move on! Spot on. If you think you can do it, go ahead. But if not, then don’t. And in either case, don’t get into debates about it because they won’t help. Thank you. And you’re right, who do the debates help? Probably just the author of the piece who probably has an insecurity issue. I think people just love to moan 🙂 But yes, we’re not writers unless words are being put down and we all do that in our own way. Rebecca, Nicely put. And I think you could switch out the term “Nano” with many other words and it would remain excellent advice… for both sides! Thanks Elsie. You’re right about that. People need to not get drawn into issues so much. They spiral out of control so rapidly and before you know it it has been blown out of all proportion.